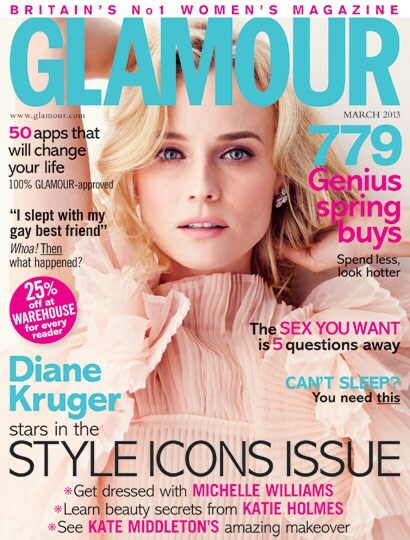 Diane Kruger is the cover girl for Glamour UK March 2013 issue. In this new issue, Diane talks about her new film; The Host and boyfriend Joshua Jackson. The issue is out now.